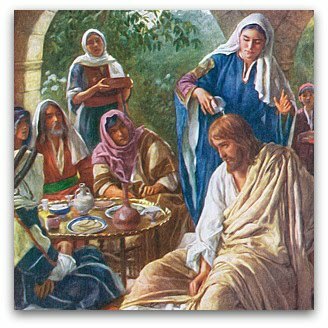 How expensive was the ointment that the woman poured on Jesus’ head, and what made it so valuable? The disciples reveal to us that the ointment used was expensive, but we do not know its exact cost. What makes the ointment so special and why is it so valuable? The ointment came for Northern India and was made of pure nard. The worth of the ointment was about a years worth of wages. Nard is made from a plant that grows in the Himalayas and is used as ointment or perfume. The cost of the ointment was worth about 300 denarii, about $54,509 in U.S. dollars. The disciples where not only shocked by the cost of the ointment she was using, but of the amount that she was using. This act of devotion was seen as waste to the disciples. The cost of the ointment that she used was shocking to me as well. It takes devotion and selflessness to do something like that. She probably did not think twice about using it. The ointment that she used was intended for her own burial but instead she used it for Jesus. She also probably spent her life savings for it. This act shows her trust, devotion, and love that she had for him. I think it would be difficult for people today to do something like that. In the world we live in today, the value or cost of something can often times overshadow or distort the moral and meaning of something. Why do the two witnesses have to wear sackcloth? What was the significance of scented wood? What are the benefits of drinking wine? What kind of food did they eat and how was it prepared?